Back in 1962, Chilton Anderson was a Taos rancher who loved skiing and playing the cello. His enthusiasm for skiing led to his becoming a ski instructor at Taos Ski Valley. But little did he know, back then, where his passion for music would lead. He got together regularly with a small group of friends and fellow classical music enthusiasts to play chamber music at 9,000 feet for their own enjoyment to play chamber music in the mountains of New Mexico. “As we went along, we began to take a path toward doing a summer music program, and during the summer of 1962, the whimsy became serious discussion and planning for a summer chamber music program,” he said. Perhaps due to his ranching acumen, Anderson was selected as director. For the first few summers, the faculty consisted of musician friends who came together in this special place to teach and perform. The magic of Taos and the opportunity to play there drew musicians of international and national reputation, as well as the most talented and adept young performers. 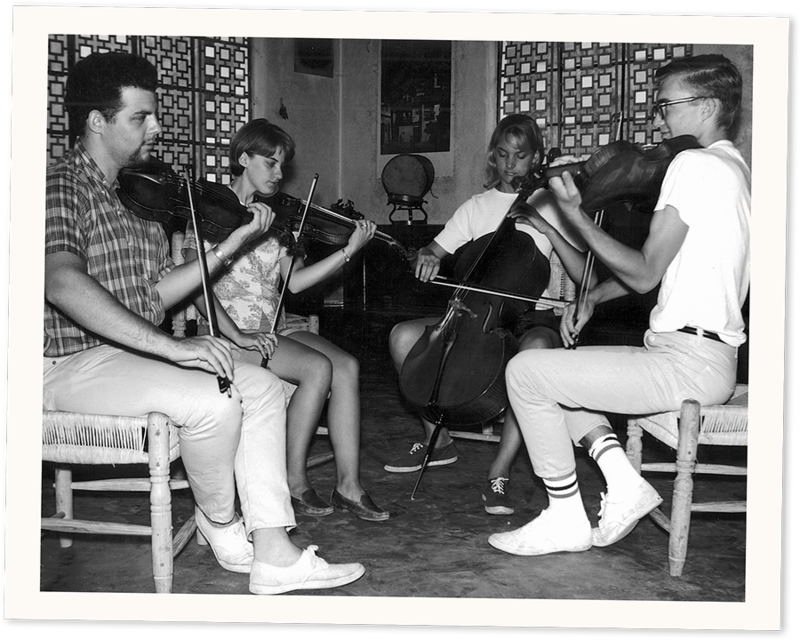 In 1975, the New Hungarian Quartet became the school’s first faculty quartet-in-residence and spent four years in that capacity. 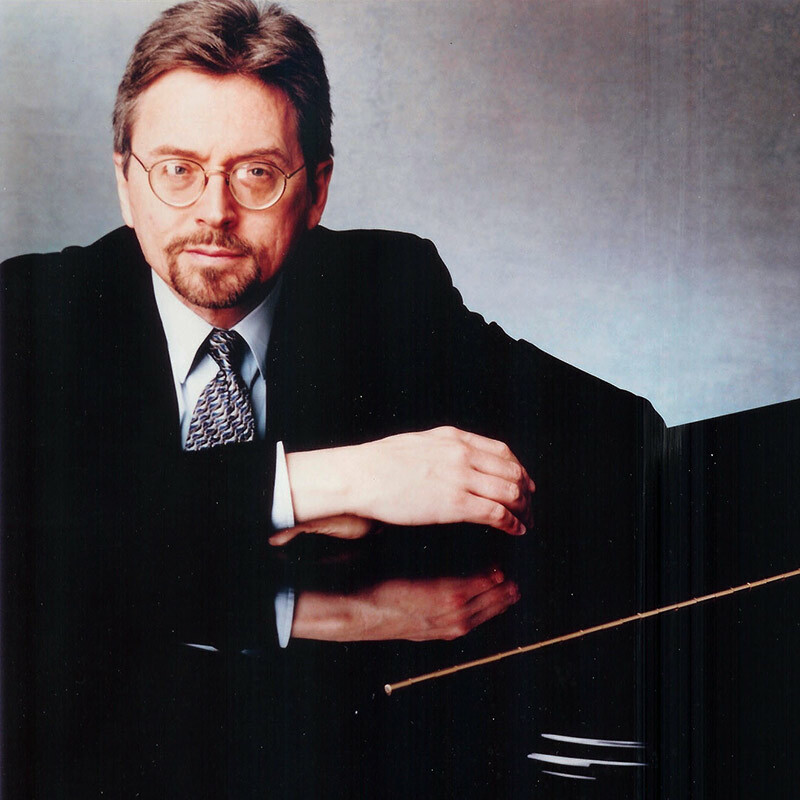 Serendipity continued when one summer day in 1978, Anderson drove to Aspen to hear the American String Quartet (ASQ). There, at a post-concert gathering, the quartet spontaneously accepted his impromptu invitation to come to Taos for a performing and faculty residence. Subsequently, the ASQ remained faculty in residence for 20 years. Early concerts in the town of Taos took place in several locations, including the Harwood Auditorium and the First Presbyterian Church. When Taos Community Auditorium was built in the early 1970s it became the customary venue. Meanwhile, Chilton’s wife, Judy, remains active serving as treasurer of the volunteer board. 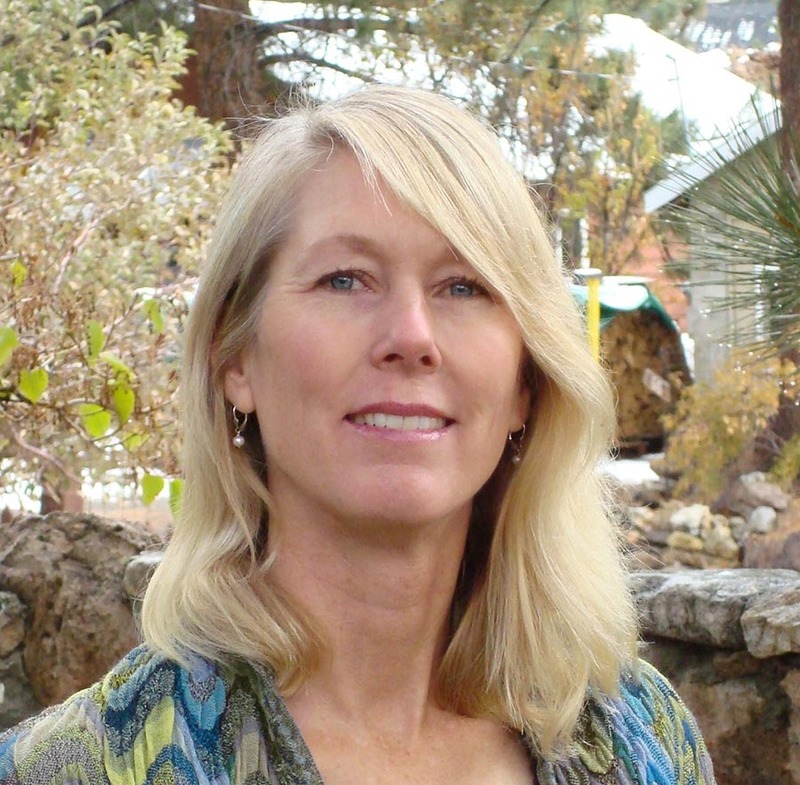 Both Kathleen and Judy were recently named Outstanding Women of Taos. 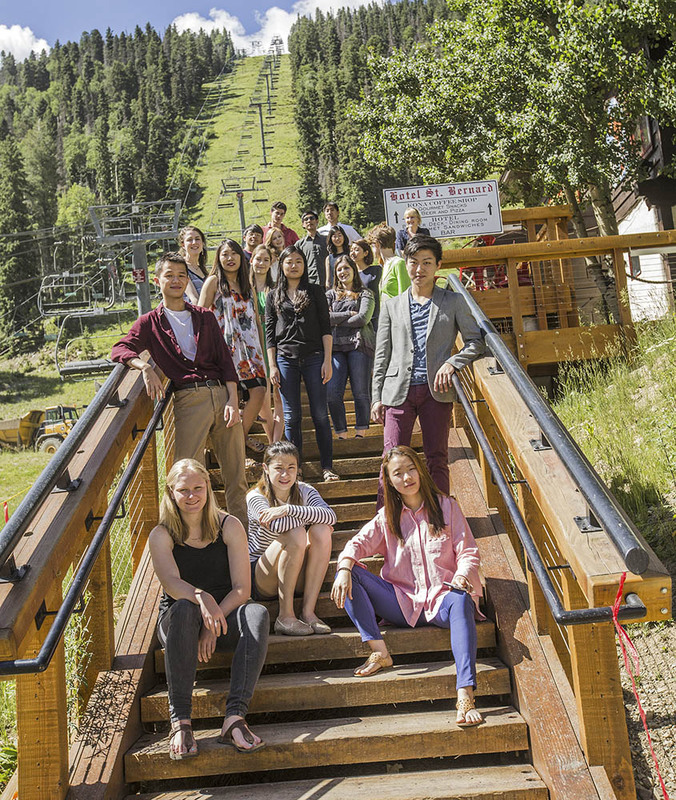 Today, Taos School of Music, still based in Taos Ski Valley, is among the country’s most prestigious summer music programs, bringing the superb training and performance opportunities young musicians require before taking the professional concert stage. 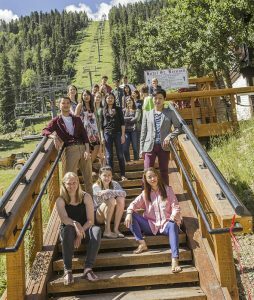 Each season, nineteen of the most talented future classical performers come to Taos for the chance to study and to be heard. They vie for these select spots in a rigorous competitive audition process. The nineteen make up quartet rotations on the piano, viola, cello and violin. 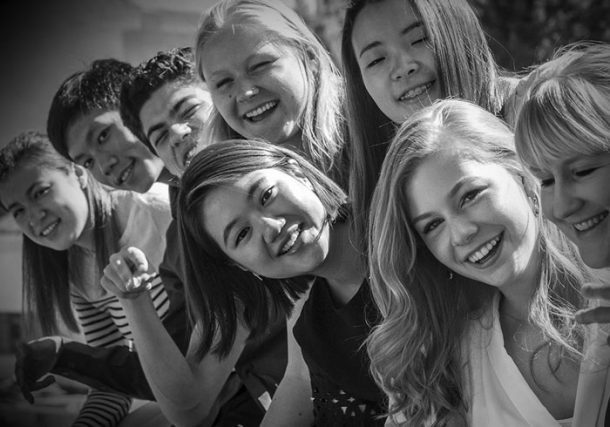 All students are awarded full tuition scholarships and pay a $700 fee for room and board. They live, eat and practice at Hotel St. Bernard. 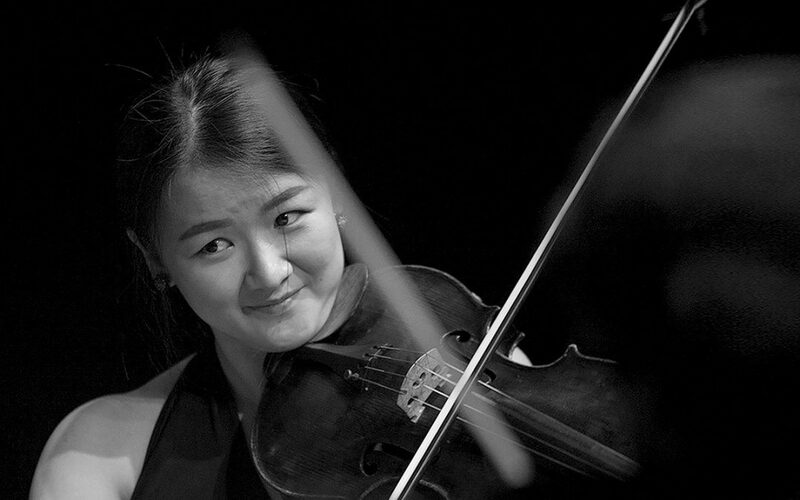 Coming from the nation’s finest academies – Julliard, Curtis Institute, and the New England Conservatory – they are already devoted masters their musical instruments. They are here to polish their musicianship through the interaction between fellow musicians, the experience of playing for audiences at Taos Community Auditorium and Hotel St. Bernard, and perhaps especially, from the inspiration of playing at 9,000 feet in the Sangre de Cristo Mountains. 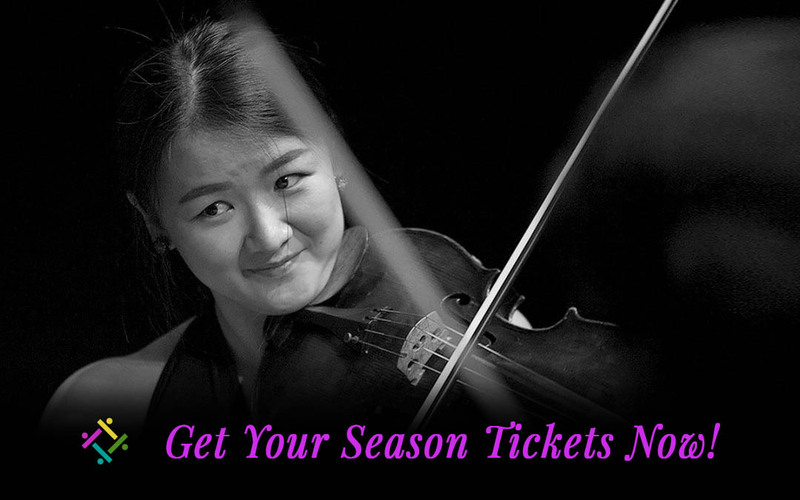 For eight weeks, they receive the instruction and discipline of performance from several of the world’s leading chamber musicians, including Michael Tree, founding member of the Guarneri String Quartet, who taught at the school for many years, and pianists Robert McDonald and Thomas Sauer as well as several of the world’s leading chamber music ensembles. 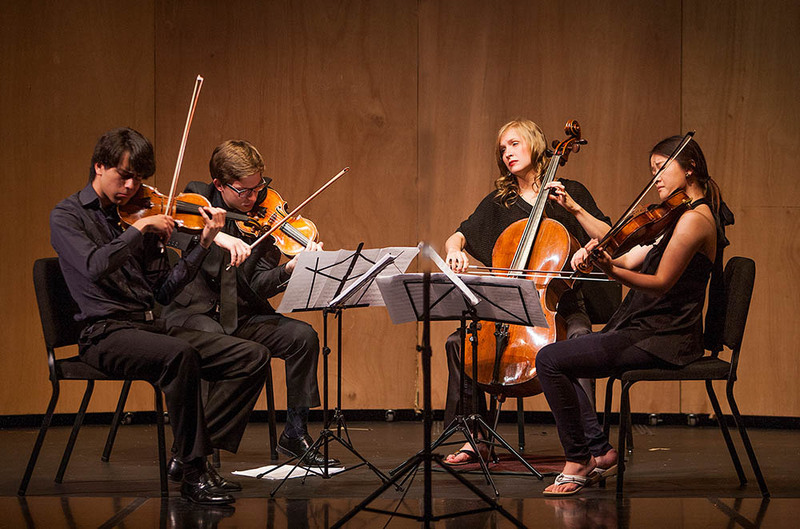 This season, ensembles in residence include the Borromeo String Quartet, Ensemble-in-Residence at the New England Conservatory of Music; the Austin, the Shanghai Quartet, and the Brentano String Quartet, now engaged as Quartet in Residence at Yale School of Music. In an interview with David Steinberg of the Albuquerque Journal, the school’s artistic director, Robert McDonald, returning for his 36th summer, explains his loyalty. “The extraordinary beauty of the land and how it captured my imagination years ago. . . The spirit of the school itself. The principles it is based on and what it offers as an educational experience for the students. “And the strongly idealistic spirit about it that is hard to find in the outside world of the profession itself and the isolation of the school. The experience gives the students a chance to know themselves better as musicians and as human beings,” he said. McDonald is on the piano faculty at Julliard and Curtis. In addition to the very popular dinner concerts and workshop-lectures at Hotel St. Bernard, performances at Taos Community Auditorium are the highlight of summer for many residents and visitors. This summer’s Music Festival would not be out of place at Carnegie Hall, with one significant difference: Ticket prices are extremely reasonable, with a season ticket costing only $100, individual concert tickets $25 and $10 for those under 18, and Young Artist Concerts $10. Tickets for all performances* are available by clicking here. You can also purchase tickets the evening of the performance at the Taos Community Auditorium or in advance at the Mudd-N-Flood located at 103-A Bent St.
*Saturday evening performances at the Hotel St. Bernard are free to the public, but be sure to reserve dinner reservations, which fill up fast, now!